Latino men rock hairstyles from short and shaggy to long. 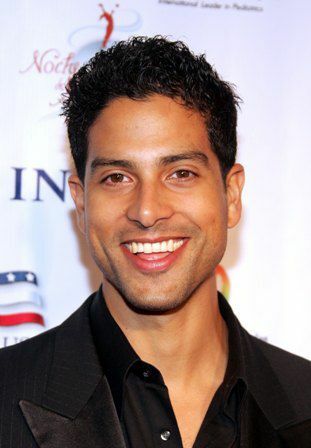 Actor Adam Rodriguez arrives at the 2nd Annual Noche De Ninos, in aid of the Childrens Hospital Los Angeles on October 7, 2006 in Beverly Hills, California. Singer Enrique Iglesias poses in the press room during the 2008 American Music Awards on November 23, 2008 in Los Angeles, California. Singer Chayanne attends the 2008 Billboard Latin Music Awards on April 10, 2008 in Hollywood, Florida. Actor Eduardo Verastegui poses in the press room at the 6th Annual Latin Grammy Awards on November 3, 2005 in Los Angeles, California. Singer Ricky Martin makes an appearance on MTV's Total Request Live at the MTV Studios on November 3, 2006 in New York City. Actor Diego Luna arrives at the world premiere of 'Milk' held at The Castro Theatre on October 28, 2008 in San Francisco, California. Former major league baseball player Jose Canseco attends the Fifth Annual Oscar De La Hoya Golf Classic on June 28, 2004 in Westlake Village, California. Actor Javier Bardem attends a photocall for the film 'No Country For Old Men' during the 60th International Cannes Film Festival on May 19, 2007 in Cannes, France. Actor Jay Hernandez arrives at the 2006 NCLR ALMA Awards on May 7, 2006 in Los Angeles, California. Actor Gael Garcia Bernal attends the 'Blindness' premiere on March 3, 2009 in Madrid, Spain.